Kongchu Workshop curates a collection of items that reflect Oriental culture. They carefully select products that link traditional Chinese and modern stylistic elements in an attempt to preserve tradition in modern day lifestyles. Their handmade Qipao, the classic dress for Chinese women, perfectly combines elaborate elegance with unique modern style. 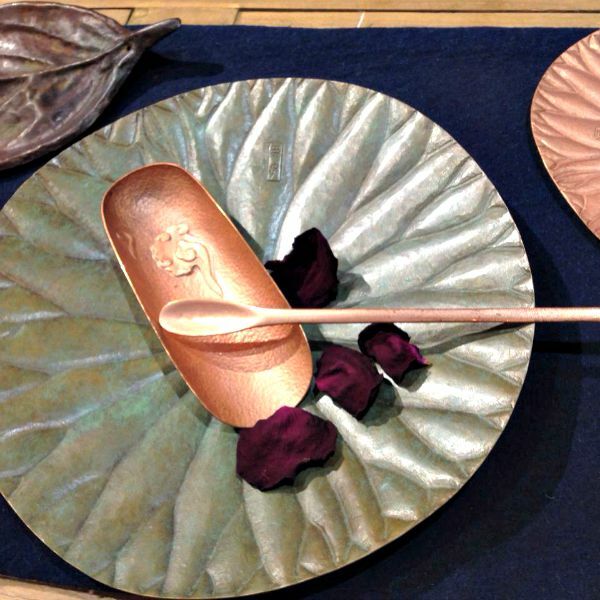 Their jewelry is simple and contemporary and their artistic Copperware items were crafted using ancient forging techniques. ‘Tea Masters’ from the local Dai community care for the ancient, mountainside tea trees in Yunnan province. Some of the trees are thought to be over 700 years old and the villagers follow traditional processes that are strictly organized according to the Chinese Lunar Calendar. When it is time to pick the leaves, the village women wake early and climb the mountain with their woven baskets. The tea is picked by hand and then baked and dried at high temperatures. The heat allows for complete fermentation which produces an earthy, red colored tea, fragrant and rich in flavor. Yixi have joined forces with Hong Kong born gourmet, designer and cartoonist Ouyang Yingji to present a uniquely designed workwear apron. Yingji’s contemporary design features his personally drawn cartoons, traditional hopsacking, leather stitching and copper fasteners, all assembled by hand. Aspiring to decrease the contact people have with chemicals, Xianzhi handmade soaps follow ancient techniques to create handmade soaps. 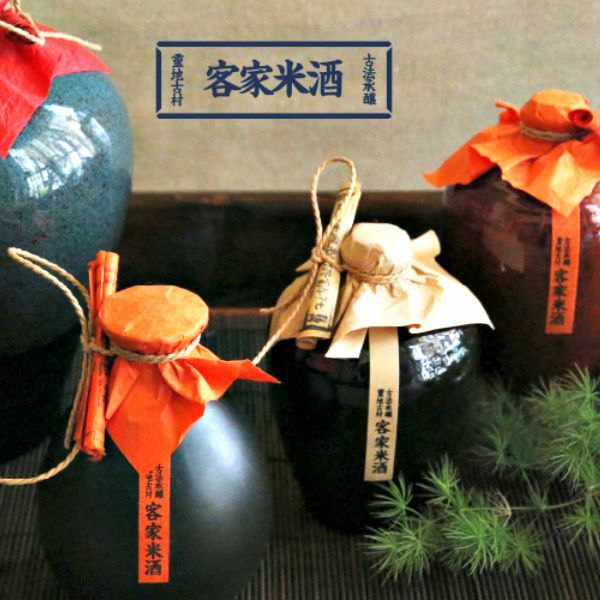 Unwilling to degrade the original components of natural ingredients, they skillfully apply cold pressure on plant oil and distill it to retrieve the purest elements. The plant oil is combined with flower petals or plants of medicinal value before it is left to condensate in 40 degree heat and dried in the natural wind. Every process and ingredient is pure, natural and highly nourishing for the skin. In the coastal province of Zhejiang, two sisters scour the countryside and the waterways of their city in search of inspiration. They find it in the form of a precious stone, a pearl or a small piece of copper and their imaginations get to work. Back in their workshop they begin creating an entirely unique piece of jewelry. They do not work to designs but instead seek to create a piece of art that fits harmoniously with the treasure they found. The final product is contemporary and stylish, each piece unusual and unique. Behind Black Dragon Jam is the story of CC, a city girl who grew up in Shanghai. For many years she worked a high profile job in China’s economic center but gave it all up to enjoy a slower pace of life in Dali, Yunnan. CC had always been interested in cuisine and began to study traditional culinary techniques. She began observing the province’s great variety of fruits and noticed changes in color, texture and taste throughout the seasons. Using traditional methods, CC and her business partner Hong Mei began to make delicious jams and constantly strive to find the perfect blend of local fruits. Business tycoon Pan Shiyi of SOHO China has turned his entrepreneurial skills to apples; growing sweet, juicy red apples in his hometown of Tianshui, Gansu province. The brand, known as Pan Pingguo, is a project that the founder hopes will help the townspeople eliminate poverty. They both test and employ unique procedures and methods to ensure the best quality of fruit. Pan Pingguo has already received great media attention for the project, which uses their electronic business platform and marketing system to build and create a new model for the fruit industry. Jian Di put all of their efforts into pursuing the best and the most natural soil for growing food products with the purest taste. “JIAN DI见地” is originally from the Homophonic word of “Jian Di碱地” which refers to the alkaline soil found in North East China. The coastal climate and the humid weather in this region create a dark soil with a pH level of between 8.1 and 8.9, rich in natural minerals. The products that Jian Di cultivates are rich in nutritive elements and have a unique and special flavor. People in the city of Jingdezhen have been producing pottery for over 1,700 years. The high-quality, rich color and innovative designs made the ceramics sought after by Emperors and Jingdezhen quickly became known as China’s‘Porcelain Capital’. Design store POP-UP BEIJING has established a fruitful partnership with a small family-run ceramics factory in the area and has carefully curated a collection of stunning, hand-crafted pieces made using traditional techniques and fit for a King. British cook, award-winning author and WildChina Gastronomic Tour expert Fuchsia Dunlop is a specialist in Chinese cuisine. A contributor to The Guardian and New York Times, she became an authority on Chinese food after living in Chengdu and becoming the only foreigner to graduate from the prestigious Sichuan Institute of Higher Cuisine. Fuchsia’s spice packs were especially sourced from a market vendor she frequents in Chengdu, and mixed to ensure an authentic balance of flavor. Learn to cook and eat like a Sichuan local by following Fuchsia’s recipe attached to the pack or check out her other mouthwatering creations in one of her books. A French Priest first began cultivating coffee in the fertile valley of Yunnan province over 100 years ago. The geography of the region, high above sea level with temperatures that vary greatly between day and night creates the unique flavor found in Yunnan Coffee; rich, aromatic and fruity. Baoshan Xinzhai Coffee Company use ‘Typica’ grain of the highest quality and guarantee that all raw materials used are traceable throughout the production system, from the planting of the seed to the delicious finished product. 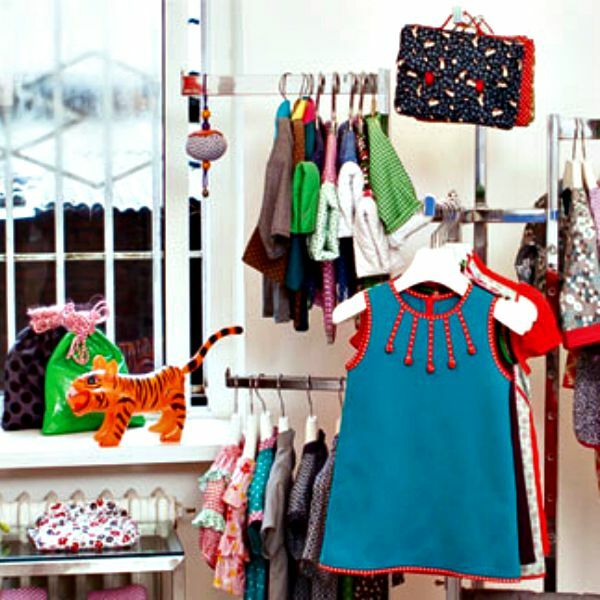 Beijing-based children’s clothing brand Tang’ Roulou was founded in 2007, a poetic answer to French designers Amélie and Pierre-Yves’ perception of Chinese culture. They draw inspiration from their daily lives in China’s capital as well as from their travels throughout the country. From tiny architectural details noticed in Beijing’s hutongs to the floral material of bridal veils worn by fishermen in Fujian, their passion for yesterday’s China is sewn into all of their pieces, assembled and embroidered by hand. Zamani Collection for XJ believes that their carpets and rugs are unique, world-class pieces of art and they treat them as such. Their exhibit is a curated selection of symbolic treasures; myths and tales from the dusty Silk Road carefully woven by hand. This form of decorative art is an essential part of culture in Xinjiang province and the final product is durable and versatile, keeping the modern day connected to the past. This collection offers mostly nomadic and tribal pieces, each design capturing a particular moment in time. Wine made from the fermentation of rice starch originated in China. Today, there are many variations found throughout Asia but at Shancunfengwu wines in Fujian, they follow ancient customs to make traditional Hakka Rice Wine - a local delicacy. They select high quality, organic ingredients and source water from a natural stream. All of the traditional processes are completed by hand and close attention is paid to the Chinese Lunar calendar. Some of the wines have been fermenting for years; the producers blow the dust off the top of the bottle before it is consumed. °Bé 41.6 was born out of a passion for truly exceptional honey, and a desire to bring hope to local communities. Their company name means quality. °Bé 41.6—the official standard for genuine honey—because, in a world that encourages cutting quality in order to maximize profits, they are committed to always providing the best natural products available. They do this by seeking out those who share their passion to create the best artisanal honey and natural products for a sustainable and exceptional lifestyle. Scholars believe that woodblock printing in China was first developed in the Tang Dynasty, inspired by the use of stone or bronze seals to make impressions in clay. At first, woodblock printing was used solely to create books on agriculture and medicine but later in the Dynasty, printers began to print non-fiction books and religious scriptures. 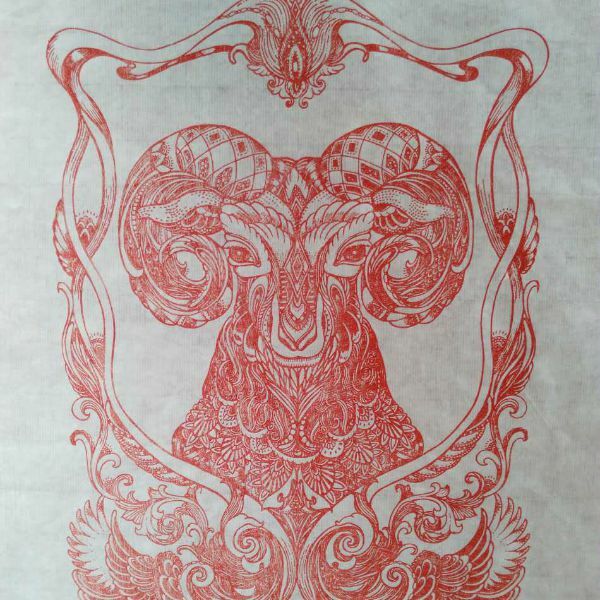 Founded in 2012, Beijing OUDE Woodblock Printing Studio is devoted to developing and preserving the traditional Chinese skill of Woodblock printing. In the small village of Longshangzhai, the handmade paper-making process is a treasured inheritance, passed down through generations. At Yi An paper creations, local tree bark fibers from Yunnan Province are utilized in a process of intricate steps combining traditional techniques and customs with modern industrial arts. Yi An aim to both preserve and develop their cultural heritage. By channeling the entrepreneurial energy of the young villagers and the wisdom of their ancestors they are protecting their art form whilst boosting the local economy. The locally sourced, potassium-rich salt of Yunnan is produced using traditional methods. Water from wells is air-dried, then hand-packed into wooden moulds and made into cakes, perfect for transportation and trade. Salt plays an important role in the province’s cuisine and contributes to the fine taste of a regional delicacy – salt cured ham. The topography in Yunnan makes it a perfect location to cure ham. During the winter months in the renowned ham-producing village of Nuodeng, salt is rubbed by hand into high quality pork, and the meat is hung to dry for a long period of time. Incense burning has a long history in China and although the ceremony involved may be lesser known than that of tea it is just as much an art, with many varying applications. Particular incense ware and tools are used for worship, communication with the gods or to drive out evil spirits. Some ceremonies welcome the beginning of a new day or are used in line with traditional Chinese medicine. Yingxiangtang aim to give an introduction to this lesser known custom, highlighting the artistic nature and cultural importance of the ceremony in order to encourage appreciation and preservation. Established in 2013, Chai Mi Duo produce high quality, organic food with a goal to encourage a healthier lifestyle for the people in their area. At their original location, close to the shores of Erhai Lake in Yunnan, Chai Mi Duo cultivates vegetables and cereals that are planted and picked by hand. In their larger farm on Cangshan Mountain they raise animals including ducks, milk cows, chickens, pigs and sheep. Strictly against the addition of additives, Chai Mi Duo strives to perfect their homemade products, focusing on the importance of using local customs and traditional processes. Deeply involved in the art community in Hong Kong, Yim Tom of Marco Polo is a designer and curator. She was born in Beijing and read Asian studies at University in Florida after moving to the US as a young child. 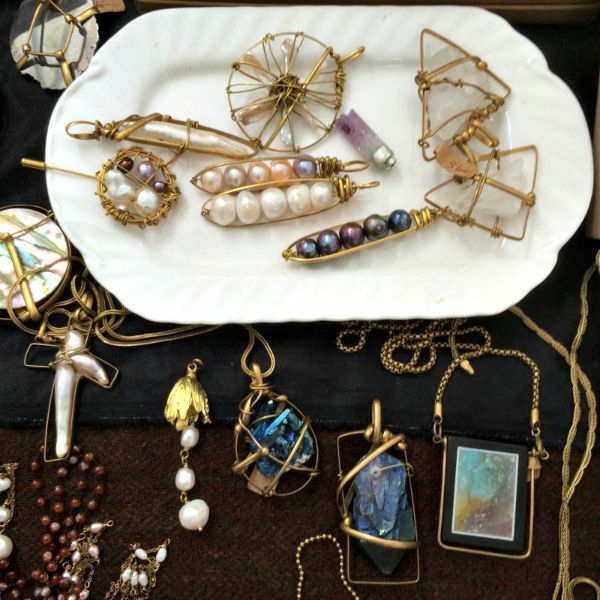 Yim has always had a flair for Asian history and culture, her research trips to China as the founder of Treasure East Antiques are invaluable inspiration for her lines of handmade Jewelry. Each piece is original and reflects her passion for traditional art forms such as painting, calligraphy and sculpture. Founded in 1985, this family-owned store features real antique shards, coins and white jade handed down from the Ming and Qing dynasties, which were destroyed during the Cultural Revolution. The owners of this shop literally picked up the pieces and crafted delicate boxes of all sizes and shapes out of the remaining shards. The shop also makes jewelry, re-purposing old mahjong tiles and semiprecious stones. Every week, we will post a new blog, giving juicy sneak peeks into which artisans will be featured at Beshan Gai. Get in on the excitement with us and win two tickets to WildChina’s exclusive VIP function after Beshan Gai to celebrate our 15 Year Anniversary! Fancy an unlimited dim sum lunch or a bobble of Duval? We’ve teamed up with The Opposite House for the chance to win some amazing additional prizes if in the weeks leading up to Beshan Gai. Take a picture of a Chinese design element in the Opposite House, tag and follow WildChina and The Opposite House, to win a bottle of nice wine at Mesh. Take a picture of a Chinese design element in the Opposite House, tag and follow WildChina and The Opposite House, to win unlimited dim sum lunch for two at Jing Ya Tang. Take a picture with the word “Wild” or the Chinese character “野,” tag and follow WildChina and The Opposite House and tell us your understanding about the word, to win Aussie beef burger for two & a bottle of Duval Leroy Champagne at Mesh.